Abstract: We introduce a special issue on a holistic assessment of solar geoengineering via stratospheric SO2 injection in the state-of-the-art climate model, Community Earth System Model, version 1 with the Whole Atmosphere Community Climate Model as its atmospheric component (CESM1(WACCM)). This model has numerous complexities that allow it to represent some of the most important nonlinearities associated with stratospheric SO2 injection, including aerosol microphysical growth and stratospheric chemistry. The studies described herein represent the steps toward and first attempt in a state-of-the-art climate model to use solar geoengineering to meet multiple simultaneous objectives via SO2 injection at multiple locations. First, a set of simulations was carried out to better understand the response of the model to variations in latitude, altitude, and amount of sulfur dioxide injections. Subsequently, in a century-long simulation, a feedback algorithm was employed to meet specific objectives and manage uncertainty, wherein the injection amount at each location was adjusted every model year. Most of the analyses contained in this special issue focus on surface climate and stratospheric changes in the simulations. In addition, 20 ensemble members of the feedback simulation have been carried out and provided to the community (the Geoengineering Large Ensemble) to expand the scope of analyses to low signal-to-noise ratio fields, including regional effects, impacts assessment, and extreme events. The demonstration provided by these simulations is a step toward understanding the space of achievable climate objectives via solar geoengineering or, phrased differently, determining what solar geoengineering can do and what it cannot do. Funding Text: This research was developed with funding from the Defense Advanced Research Projects Agency (DARPA). The views, opinions, and/or findings expressed are those of the authors and should not be interpreted as representing the official views or policies of the Department of Defense or the U.S. Government. 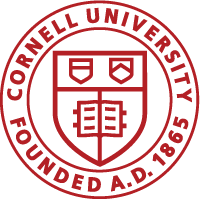 Additional support for D. G. M. was provided by the Atkinson Center for a Sustainable Future at Cornell University. The Pacific Northwest National Laboratory is operated for the U.S. Department of Energy by Battelle Memorial Institute under contract DE-AC05-76RL01830. The National Center for Atmospheric Research is supported by the National Science Foundation. Simulations were carried out on the Yellowstone and Cheyenne high-performance computer platforms operated by the Computational and Informational Systems Laboratory at the National Center for Atmospheric Research.